Hello and Welcome to "le Vrai Sud Ouest!" 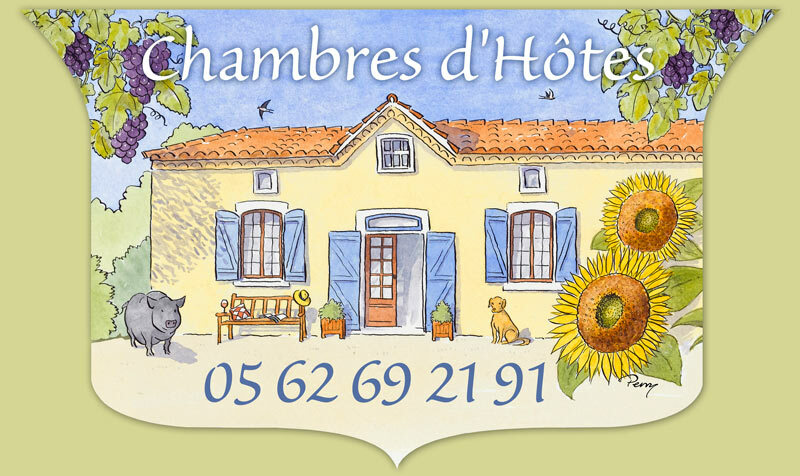 A cosy chambres d'Hôtes (B&B) in Viella, in a stunning region of Gascony, GERS, South west France. Enjoy a cosy evening by the log fire where you can even grill your own steak!! A small pool for taking that well earned dip in the afternoon!! A separate guest entrance, so you don't need to worry about coming in at 3am!! We are registered with Clé Vacances and our accommodation has been awarded 3 keys. The pretty village of Viella, Gers, is situated in the heart of Gascony. Viella is surrounded by superb scenery with rolling hills and the vineyards of Madiran and St Mont extend as far as the eye can see. The Pyrenees mountains make a stunning back drop in the distance. Viella has a Bakery, grocery, pharmacy and bar/bistro all within 10mins walk. The village swimming pool is open every day during the summer months (July & August). Closeby, you will find Aydie, Madiran and St Mont less than 10km. Slightly further afield is the race circuit of Nogaro (20km) and Marciac with its' famous jazz festival (25km). For the active, both Viella and Riscle have plenty of marked footpaths, routes for cyclists; both on and off road and, twice a year, there are 4x4 events through the surrounding vineyards. Horse riding is available close by. Aydie and Nogaro offer car/camion and moto racing. The Tour de France passes by every year. In 2018 it couldn't be any closer, it passes the village!! To finish the year in a unique way, why not come join us on 31 December? Events and demonstrations all day in and around the vines. Come see the theatre spectacle and then take part in the procession by flame through the village to the vines where we harvest the grapes for the famous Pacherenc hivernal. And finally, see in the new year with a gala dinner here in the village or at Chateau Crouseilles. Phew! Why not take a trip around some of the 100 or so award winning local vineyards to sample the wines of Madiran, St Mont and Pacherenc or one of the vineyards specialising in Armagnac and Floc de Gasgogne ? Why not visit a local thermal Spa? Eugine des Bains is 30mins and Barbotan les Thermes around an hour. Or simply take your paint brush and easel and paint to your hearts content. Being just 90 minutes from Spain and the coast as well as the Pyrenees, Viella Vacances is the ideal location for touring the SW of France. We look forward to welcoming you to our home very soon !